Well, Fresh Read has a library card at the local state university. It is a very good investment of $30 per year. For there are lots of resources there for biblical study. Not all books help us read the text, in that they are so clouded with their own theories of meaning or origin that they never bother to read, listen and ponder. However, there is nothing quite like a library browse to stimulate the grey cells. Even if we don’t buy the ideas presented, they can jump start the cerebellum into action. So in reading about 6 commentaries on John 15 – the vine and branches image – we were looking for insight into what “abiding” or “remaining” means. It is clear enough how a branch remains in the vine, but how does that translate. We discovered that most commentators punt and say that “abide” means something like “commune” or “fellowship”. Ok, but are we talking about dim lights, candles and liver-shivers? Two (i only picked out 5, so there are others out there) helped. One “The Message of John” by Bruce Milne, IVP, 1993, gave a nice pastoral sort of application of how that meant 1. being pruned = cleansed 2. dependence with obedience 3. fruitful is evangelism, justice (Isaiah 5:7) and character (Gal 5). 4. prayer that is built on his teaching and 4. love of fellow believers on Christ’s model. Well, that is something to hang your hat on – or since Fresh Read preaches, there is a 4 point sermon. The other surprise is a commentary by Ben Witherington III, of Asbury Seminary, “John’s Wisdom: A Commentary on the Fourth gospel” , Westminster, 1995. Now BWIII (who blogs http://benwitherington.blogspot.com/ ) opens a new door, and connects John with another FRESH READ passion – Wisdom Literature. The book suggests that John is written as an ancient biography (distinct from the modern genre) and that “The Beloved Disciple” is the primary source for eyewitness accounts of Jesus expressed through the wisdom literature’s mood (hmmm, kind of like “muse”). Wow, I’d never thought of that. WL has an interest in Wisdom (Logos – word – Jesus), in beautiful language (how we enjoy John’s elevated style), is international (Samaritan woman), and more than we were able to digest in one sitting. the Synoptics, because of the use of parables seems a more obvious wisdom literature connection, but BWIII seemed to make his point. Watch the Wisdom Lit tag line for more on this in the future. Our Point? Even though the goal ought to be a Fresh (uncluttered by dulled expectations and dogmatic presuppositions) Read, a trip to the library can be an aid. 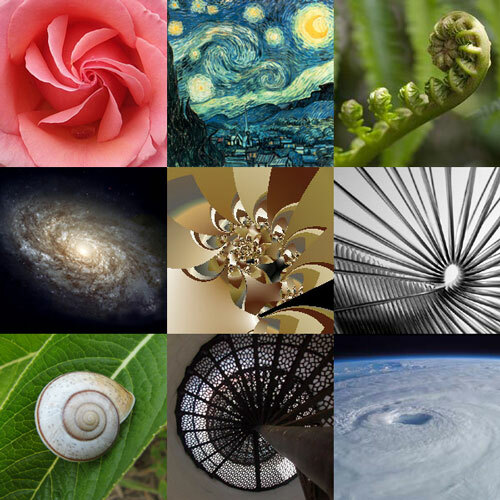 There are patterns in nature – the same spiral is found in sunflowers, galaxies and sea shells. Compare this to the Christ Hymn of Philippians 2, to the 1st chapter of John, to the stories of Jesus’ ministry in the Gospels and you see the same pattern. 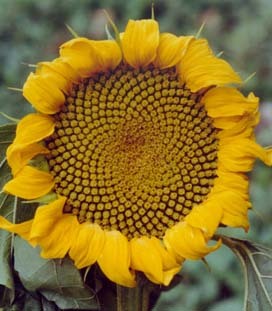 The pattern in nature suggests a designer. The Pattern in the Gospel does more than suggest, but is a pattern that Jesus Followers should repeat in their lives. Have this mind among yourselves, which is yours in Christ Jesus,  who, though he was in the form of God, did not count equality with God a thing to be grasped,  but made himself nothing, taking the form of a servant, being born in the likeness of men. And being found in human form,  he humbled himself by becoming obedient to the point of death, even death on a cross. Therefore God has highly exalted him and bestowed on him the name that is above every name,  so that at the name of Jesus every knee should bow, in heaven and on earth and under the earth,  and every tongue confess that Jesus Christ is Lord, to the glory of God the Father. Now John 13 is a story of Jesus washing the feet of his disciples. Yet this washing becomes a picture of something more. It shows a model of service that both captures the gospel of Christ coming to humanity to serve, and serves as a model for Christ followers. He took off (clothing/glory), became a servant, washed (feet/sinfulness), returned (to seat/heaven) and instruction (disciples/us) to do the same. John calls the saying in v. 1-6 a “proverb” (paroimian) rather than a parable. Generally parables seem to have one main point and should not be alegorized (i.e. making every part of the story represent something in the world). However the Parable of the Sower is one of several exceptions. However this saying seems to be something in between. So don’t get hung up on Jesus being both the door and the shepherd who goes through the door. And don’t look for a linear progression. Trying to outline this passage is difficult. It seems to us to be more like a weaving of threads, than anything like an outline. The story before, with the blind man healed and accepted by Jesus, and rejected by the religious leaders, and the verses after this passage about some rejecting and some being intrigued, serve to illustrate points within. They are responding to the shepherds voice, or running from it. Who is in and out of the flock? the flock within might be the people of Israel (but is that allegorizing too much?). Or perhaps it is a standing image of those who are “inside” in some way already. Those outside are the Gentiles. However in our day, if the image can traverse time in this way, those inside are those in the church, and those outside are those yet to hear. This could be a “missional” saying – let’s get outside of the walls. How do we hear the Lord’s voice? It would seem that the Lord authenticates himself – we know his voice when we hear it. Psalm 108 is a composite of two portions from other Psalms of David. Psalm 108:1-5 corresponds to Psalm 57:7-11. Psalm 108:6-13 corresponds to Psalm 60:5-12. Notice that Psalm 57 is about David hiding from Saul in one cave (I Sam 22) or another (I Sam 24). He is being hunted by his enemy, and is hidden away from sight. The words chosen to start Ps 108 affirm the greatness and steadfastness of God. One wonders at a man who sees stars from inside a cave! Psalm 60 is about trouble during a military campaign. David was a man of war. The geography describes encircles Judea. Here David affirms that for all his arms, God is his strength. What then is the purpose for Ps 108? We notice that the anxieties of the previous psalms are not included, but only the affirmations. Is this Psalm then to be used in times of extreme danger? Perhaps including personal peril (Ps 57) and national peril (Ps 60). Or is it that two affirmations are better than one? One is struck from the New Testament point of view, as to how David could affirm God in such beautiful language (v. 1-5) but that is set against language of war and conquest. Enlightenment theory, which formed the basis of our country’s political philosophy, held that people exchange liberty for security, and this has to be done with care. This is usually the debate in our politics today – where to draw the line. There are two interesting biblical texts along this line. Deuteronomy 17:14-20 makes provision for a king to be established, with warnings against having an alliance with Egypt, or with a king having foreign wives, and a provision for the king to make and keep a copy of the covenant law. This is at best an allowance for kings, not an endorsement. Which is interesting because of the role that kings, including David and Solomon played. I Samuel 8 is the account of the people asking Samuel to give them a king. Samuel gives a very grave warning of the dangers the king poses to their liberties, but they insist. So here is an interesting couple of passages to set against both biblical history of the kings, as well as against our own history. How much can we entrust to a leader? Can we get along without one? Anyway, it is interesting for two things – “Living water” is water that is freely flowing in a stream or from a spring. “Fresh Read” is about living not stagnant reading. Also, I had always heard that the woman was at the well in mid day out of being ostracized by her community (but does it say that?). I had heard that she brought up the issue of the temple to divert Jesus from a personal conversation about her life. But is that necessarily so? sure, in the middle of an uncomfortable conversation about your life, try bring up politics (“Do you prefer Obama or Clinton?”) or sports (“Will the Cubs choke again?) and you are most likely saved from probing questions. but what if the woman only know of a spirituality that came through buildings, such as the temple in Jerusalem or the one the Samaritans had in Mt. Gerazim. Then maybe her question shows that she was perceiving that Jesus was talking about something other than well water, but about an authentic spirituality. Is it possible that she was seeking, as best she could? It would seem she does progress from missing the point about the water, to bringing out her (supposedly estranged) neighbors to meet Jesus.